• Ability to handle larger “shock” loads (>500%) of rating compared to worm, helical, etc. 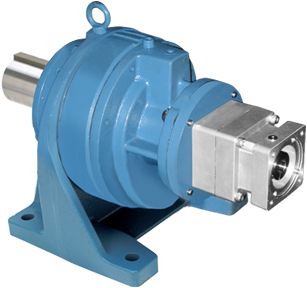 • High reduction ratios and torque density in a compact dimensional footprint. Gearbox designs requiring different housing dimensions, output connections, etc. Alternative materials of construction, lubrication, seals, bearing support, etc. The internal cycloidal gear assembly only in order to integrate into OEM equipment or actuators. There are many other examples and possibilities that we could consider. NIDEC-SHIMPO can work with you to explore if there is a fitting solution for what you are trying to accomplish. Please contact us to have a more detailed discussion and review When investigating a potential custom solution for their equipment.